Are the Trump Tax Cuts Working? Better economic performance is the most important reason to adopt pro-growth reforms such as the Tax Cuts and Jobs Act of 2017. Even small increases in economic growth – especially if sustained over time – can translate into meaningful improvements in living standards. But there are several reasons why it won’t be easy to “prove” that last year’s tax reform boosted the economy. It takes time for investment to increase, so the resulting improvements in productivity and wages don’t occur immediately. Other policy changes (most notably, growth-stifling trade barriers) can partially or fully offset the beneficial impact of tax reforms. And there are probably other factors to mention as well. The takeaway is that the nation will enjoy good results from the 2017 tax changes, but I fully expect that the class-warfare crowd will claim that any good news is for reasons other than tax reform. And if there isn’t good news, they’ll assert this is evidence against “supply-side economics” and totally ignore the harmful effect of offsetting policies such as Trump’s protectionism. That being said, some of the benefits of tax reform are already evident and difficult to dispute. Let’s start by looking at what’s happening Down Under, largely driven by American tax reform. The Australian government announced Monday that the Senate will vote in June on cutting corporate tax rates after an opinion poll suggested the contentious reform had popular public support. …Prime Minister Malcolm Turnbull’s conservative coalition wants to cut the corporate tax rate by 5 percent to 25 percent by 2026-27… Cormann said the need to reduce the tax burden on businesses had become more pressing for future Australian jobs and investment since the 2016 election because the United States had reduced its top corporate tax rate from 35 percent to 21 percent. “Putting businesses in Australia at an ongoing competitive disadvantage deliberately by imposing higher taxes in Australia … puts Australian workers at an oncoming disadvantage and that is clearly the point that more and more Australians are starting to fully appreciate,” Cormann told reporters. Cormann was referring to a poll published in The Australian newspaper on Monday that showed 63 percent of respondents supported company tax cuts. What’s remarkable is not that Australian lawmakers are moving to lower their corporate rate. The government, after all, has known for quite some time that this reform was necessary to boost wages and improve competitiveness. The amazing takeaway from this article is that ordinary people understand and support the need to engage in tax competition and other nations feel compelled to also cut business tax burdens. All last year, I kept arguing that this was one of the main reasons to support Trump’s proposal for a lower corporate rate. And now we’re seeing the benefits materializing. Now let’s look at a positive domestic effect of tax reform, with a feel-good story from New Jersey. It appears that the avarice-driven governor may not get his huge proposed tax hike, even though Democrats dominate the state legislature. Why? Because the state and local tax deduction has been curtailed, which means the federal government is no longer aiding and abetting bad fiscal policy. New Jersey’s new Democratic governor is finding that, even with his party in full control of Trenton, raising taxes in one of the country’s highest-taxed states is no day at the beach. Gov. Phil Murphy…has proposed a $37.4 billion budget. He wants to raise $1.7 billion in new taxes and other revenue… But some of his fellow Democrats, who control the state legislature, have balked at the governor’s proposals to raise the state’s sales tax and impose a millionaires tax. State Senate President Steve Sweeney has been particularly vocal. …Mr. Sweeney previously voted for a millionaire’s tax, but said he changed his mind after the federal tax law was passed in December. The law capped previously unlimited annual state and local tax deductions at $10,000 for individual and married filers, and Mr. Sweeney said he is concerned an additional millionaire’s tax could drive people out of the state. “I think that people that have the ability to leave are leaving,” he said. Of course they’re leaving. New Jersey taxes a lot and it’s the understatement of the century to point out that there’s not a correspondingly high level of quality services from government. So why not move to Florida or Texas, where you’ll pay much less and government actually works better? The bottom line is that tax-motivated migration already was occurring and it’s going to become even more important now that federal tax reform is no longer providing a huge de facto subsidy to high-tax states. And that’s going to have a positive effect. New Jersey is just an early example. This doesn’t mean states won’t ever again impose bad policy. New Jersey probably will adopt some sort of tax hike before the dust settles. But it won’t be as bad as Governor Murphy wanted. We also may see Illinois undo its flat tax after this November’s election, which would mean the elimination of the only decent feature of the state’s tax system. But I also don’t doubt that there will be some Democrats in the Illinois capital who warn (at least privately) that such a change will hasten the state’s collapse. I gave a couple of speeches about fiscal policy in Australia late last week. During the Q&A sessions (as so often happens when I speak overseas), the audiences mostly asked questions about Donald Trump. I generally give a three-part response. I tell them I was surprised by the election results. I tell them Trump is not a small-government Republican. I plead with them (often with no success) to ask questions about fiscal policy. So when I was asked to appear on Australian television, you won’t be surprised to learn that I was asked several questions about Trump. But the good news is that the segment lasted for more than 18 minutes so I got a chance to pontificate about taxes and spending. In particular, I had an opportunity to explain two very important principles of fiscal policy. First, I explained the Rahn Curve and discussed why both Australia and the United States should worry that the public sector is too large. This means less growth in our respective nations because government spending (whether financed by taxes or borrowing) diverts resources from the productive sector of the economy. Second, I explained the Laffer Curve and tried to get across why high tax rates are a bad idea (even if they raise more revenue). As always, my top goal was to explain that a nation should not seek to be at the revenue-maximizing point. I also had an opportunity to take some potshots at international bureaucracies such as the IMF and OECD. Yes, we get good statistics from such organizations and even some occasional good research, but they have a statist policy agenda that undermines global growth. And I never cease to be offended that bureaucrats at these organizations get tax-free salaries, yet get to jet around the world urging higher taxes on the rest of us. Is Australia Still the Best Country for American Refugees? Back in 2013, when I was still doing a “question of the week” column, I suggested that Australian was the best option for those contemplating a new home in the event of some sort of Greek-style fiscal collapse in the United States. I pointed out that America wasn’t in any immediate danger, though I can understand why some people are interested in the question since our long-run outlook is rather grim. 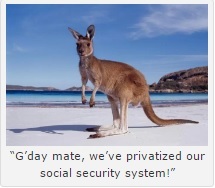 Anyhow, I picked Australia for several reasons, including its geographic position (no unstable welfare states on the border, which is why I didn’t select Switzerland), its private social security system (unfunded liabilities are small compared to the $44 trillion shortfall in America’s government-run system), and its relatively high level of economic freedom. I’m not the only person to notice that Australia is a good place to live. A recent Bloomberg column noted that millionaires are moving Down Under. They’re all going to the land Down Under. Australia is luring increasing numbers of global millionaires, helping make it one of the fastest growing wealthy nations in the world… Over the past decade, total wealth held in Australia has risen by 85 percent compared to 30 percent in the U.S. and 28 percent in the U.K., aided by the fact that Australia has gone 25 years without a recession. As a result, the average Australian is now significantly wealthier than the average American or Briton. …At the end of 2016 individuals held about $192 trillion of wealth worldwide…, with 13.6 million millionaires holding $69 trillion of this. There were 522,000 multi-millionaires, having net assets of $10 million or more. 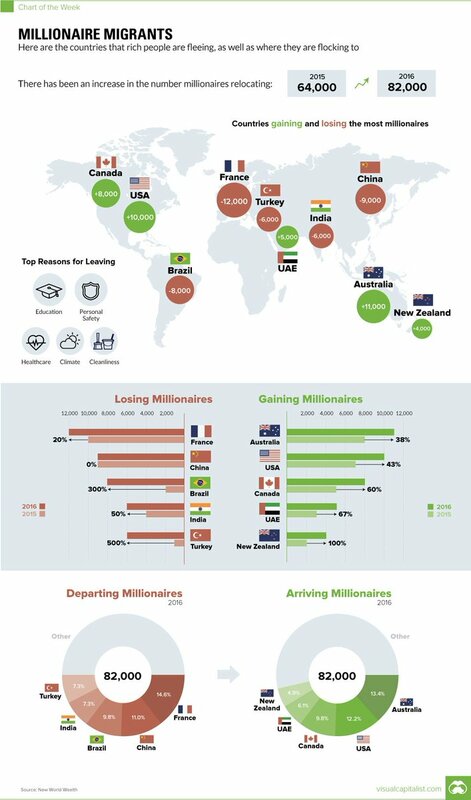 The number of millionaires moving to Australia is especially impressive when looking at global data. Here’s a map showing the nations with the most incoming and outgoing rich people (h/t: Steve Hanke). Maybe it’s because there’s no death tax in Australia, but it’s remarkable that a nation with less than one-tenth the population of the United States manages to attract more millionaires. But not everybody is cheerful about Australia’s economic position. I’m currently in Brisbane for a couple of speeches. I spoke earlier today about how market-oriented jurisdictions grow much faster over the long run when compared to nations with statist economic policy. But I don’t want to focus on my remarks (much of which will be old news to regular readers). Instead, let’s look at the some of the information in a speech by Professor Tony Makin of Griffith University. Two of his slides caught my attention. 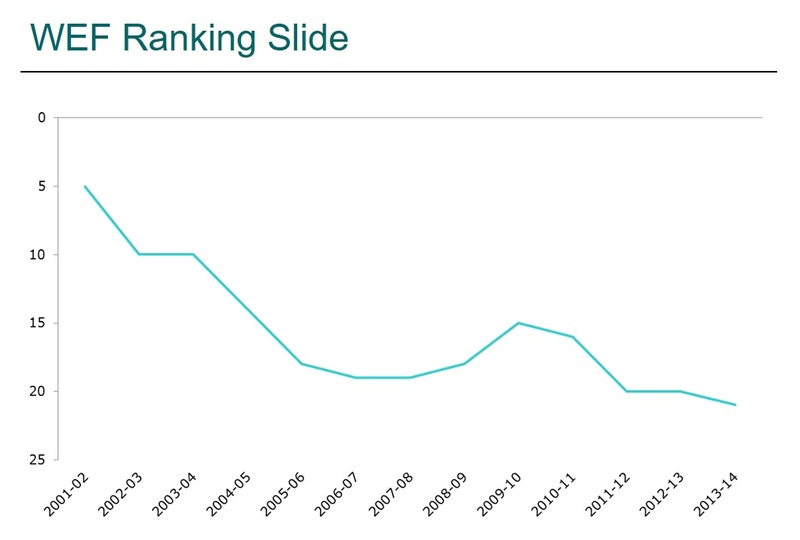 Let’s start with a depressing look at how Australia has declined in the global competitiveness rankings put together each year by the World Economic Forum. This is not a good trend. That being said, I think Economic Freedom of the World is a more accurate measure and it shows that Australia (whether looking at its absolute score or its relative ranking) has suffered only a small decline. Here’s another chart that is depressing as well. It shows that the per-capita burden of taxes and spending has continuously increased even after adjusting for inflation. To be fair, the numbers aren’t quite as bad when looking at taxes and spending as a share of gross domestic product. Nonetheless, the trend isn’t favorable, which is a point I made back in 2014. None of this changes my view that Australia is still a good choice for emigrating Americans. But it does leave me worried about whether it will still be the top choice in 10 years or 20 years. For what it’s worth, the main recommendation in my speech was for Australia to adopt a spending cap, similar to the ones that exist in Hong Kong and Switzerland. I also should have suggested sweeping decentralization since the government actually is open to that idea. P.S. One of the most disappointing things about Australia is that the country’s foreign aid bureaucrats are trying to bribe/coerce Vanuatu’s government into adopting an income tax. P.P.S. Professor Makin was the author of the report I recently cited about the failure of Australia’s Keynesian spending binge. Time for an update on the perpetual motion machine of Keynesian economics. We’ll start with the good news. The Treasury Department commissioned a study on the efficacy of the so-called stimulus spending that took place at the end of last decade. As discussed in this news report, the results were negative. …a scathing new Treasury-commissioned report…argues the cash splash actually weakened the economy and damaged local industry… The report, …says the…fiscal stimulus was “unnecessarily large” and “misconceived because it emphasised transfers, unproductive expenditure…rather than tax relief and/or supply side reform”. The bad news, at least from an American perspective, is that it was this story isn’t about the United States. It’s a story from an Australian newspaper about a study by an Australian professor about the Keynesian spending binge in Australia that was enacted back in 2008 and 2009. I actually gave my assessment of the plan back in 2010, and I even provided my highly sophisticated analysis at no charge. The Treasury-commissioned report, by contrast, presumably wasn’t free. The taxpayers of Australia probably coughed up tens of thousands of dollars for the study. But this is a rare case where they may benefit, at least if policy makers read the findings and draw the appropriate conclusions. Here are some of the highlights that caught my eye, starting with a description of what the Australian government actually did. 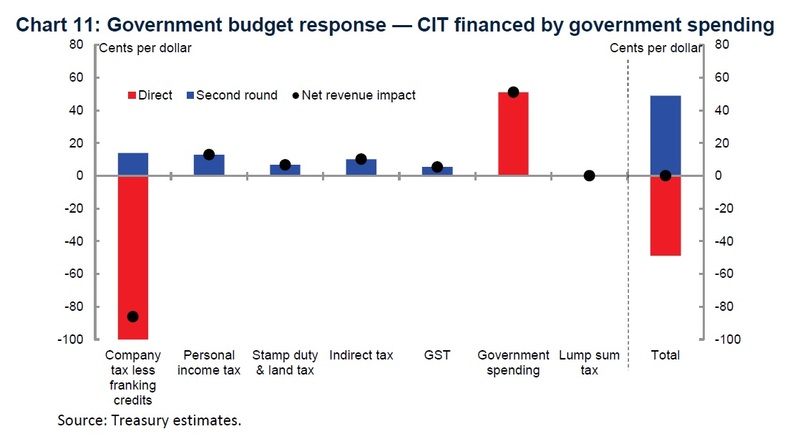 The GFC fiscal stimulus involved a mix of new public expenditure on school buildings, social housing, home insulation, limited tax breaks for business, and income transfers to select groups. Stimulus packages were announced and implemented in the December 2008, March 2009 quarters and ran into subsequent quarters. Both nations had modest-sized Keynesian packages in 2008, followed by larger plans in 2009. The total American “stimulus” was larger because of a larger population and larger economy, of course, and the political situation was also different since it was one government that did the two plans in Australia compared to two governments (Bush in 2008 and Obama in 2009) imposing Keynesianism in the United States. Here’s a table from the report, showing how the money was (mis)spent in Australia. Now let’s look at the economic impact. We know Keynesianism didn’t work very well in the United States. And the report suggests it didn’t work any better in Australia. …fiscal stimulus induced foreign investors to take up newly issued relatively high yielding government bonds whose AAA credit rating further enhanced their appeal. This contributed to exchange rate appreciation and a subsequent competitiveness… Worsened competitiveness in turn reduced the viability of substantial parts of manufacturing, including the motor vehicle sector. …Government spending continued to rise as a proportion of GDP… This put upward pressure on interest rates… this worsened industry competitiveness contributed to major job losses, not gains, in manufacturing and tourism. 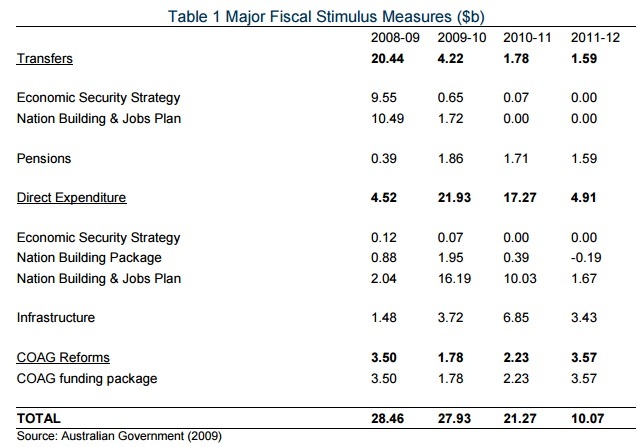 …In sum, fiscal stimulus was not primarily responsible for saving the Australian economy… Fiscal stimulus later weakened the economy. Though there was one area where the Keynesian policies had a significant impact. Australia’s public debt growth post GFC ranks amongst the highest in the G20. Ongoing budget deficits and rising public debt have contributed to economic weakness in numerous ways. …Interest paid by the federal government on its outstanding debt was under $4 billion before the GFC yet could reach $20 billion, or one per cent of GDP, by the end of the decade. We got a similar result in America. Lots more red ink. Except our debt started higher and grew by more, so we face a more difficult future (especially since Australia is much less threatened by demographics thanks to a system of private retirement savings). The study also makes a very good point about the different types of austerity. …a distinction can be made between “good” and “bad” fiscal consolidation in terms of its macroeconomic impact. Good fiscal repair involves cutting unproductive government spending, including program overlap between different tiers of government. On the contrary, bad fiscal repair involves cutting productive infrastructure spending, or raising taxes that distort incentives to save and invest. Incidentally, the report noted that the Kiwis implemented a “good” set of policies. …in New Zealand…marginal income tax rates were reduced, infrastructure was improved and the regulatory burden on business was lowered. Yet another reason to like New Zealand. 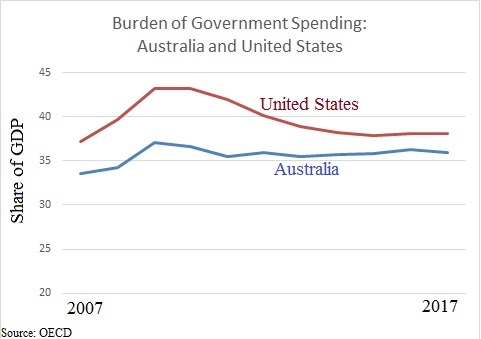 Let’s close by comparing the burden of government spending in the United States and Australia. Using the OECD’s dataset, you see that the Aussies are actually slightly better than the United States. By the way, it looks like America had a bigger relative spending increase at the end of last decade, but keep in mind that these numbers are relative to economic output. And since Australia only had a minor downturn while the US suffered a somewhat serious recession, that makes the American numbers appear more volatile even if spending is rising at the same nominal rate. P.S. The U.S. numbers improved significantly between 2009 and 2014 because of a de facto spending freeze. If we did the same thing again today, the budget would be balanced in 2021. Yesterday was “Australia Day,” which I gather for Aussies is sort of like the 4th of July for Americans. To belatedly celebrate for our friends Down Under, I suppose we could sing Waltzing Matilda. Economists at the Australian Treasury crunched the numbers and estimated the economic effects of a lower corporate tax rate. They had several levers in their model for how this change could be financed, including increases in other taxes. Corporate income taxes are one of the most destructive ways for a government to generate revenue, so it’s not surprising that the study concluded that a lower rate would be desirable under just about any circumstance. But what caught my attention was the section that looked at the economic impact of a lower corporate tax rate that is offset by a reduction in the burden of government spending. The consequences are very positive. This subsection reports the findings from the model simulation of a company income tax rate cut from 30 to 25 per cent, leaving all other tax rates unchanged and assuming any shortfall in revenue across all jurisdictions is financed by a cut in government spending. …Under this scenario, GNI is expected to rise by 0.7 per cent in the long run (see Chart 9). 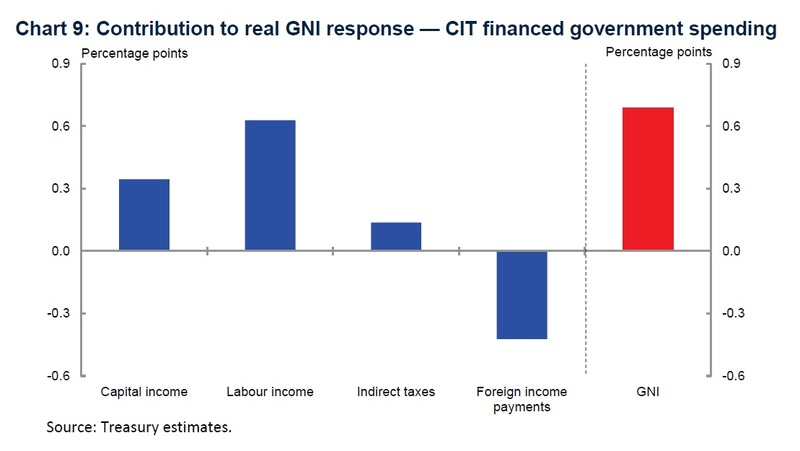 …the improvement in real GNI is largely due to the gain in labour income. Underlying the gain in COE is an estimated rise in before-tax real wages of around 1.1 per cent and a rise in employment of 0.1 per cent. For readers unfamiliar with economic jargon, GNI is gross national income and COE is compensation of employees. And here’s the chart that was referenced. Note that workers (labour income) actually get more benefit from the lower corporate rate than investors (capital income). So the bottom line is that a lower corporate tax rate leads to more economic output, with workers enjoying higher incomes. And higher output and increased income also means more taxable income. 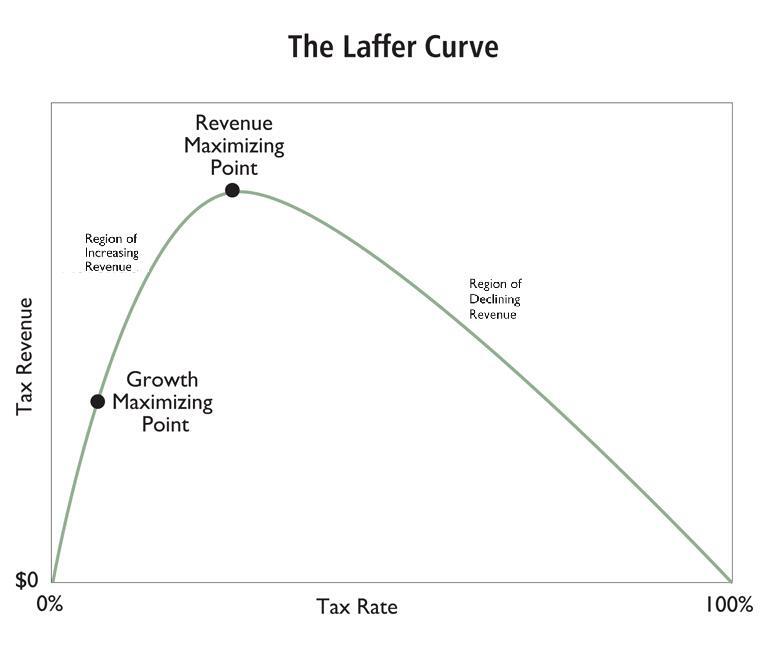 And this larger “tax base” means that there is a Laffer Curve impact on tax revenues. No, the lower corporate tax rate isn’t self financing. That only happens in rare circumstances. But the study notes that about half of the revenue lost because of the lower corporate rate is recovered thanks to additional economic activity. Here’s the relevant chart showing these results. And the study specifically notes that the economic benefits of a lower corporate rate are largest when it is accompanied by less government spending. A decrease in the company income tax rate financed by lower government spending implies a significantly higher overall welfare gain when compared with the previous scenarios of around 0.7 percentage points… As anticipated in the theoretical discussion, when viewed from the standpoint of the notional owners of the factors of production, the welfare gain is largely due to a significant improvement in labour income due to higher after-tax real wages. By the way, the paper does speculate whether the benefits (of a lower corporate rate financed in part by less government spending) are overstated because they don’t capture benefits that might theoretically be generated by government spending. That’s a possibility, to be sure. But it’s far more likely that the benefits are understated because government spending generates negative macroeconomic and microeconomic effects. In the conclusion, the report sensibly points out that higher productivity is the way to increase higher living standards. And if that’s the goal, a lower corporate tax rate is a very good recipe. Australia’s terms of trade, labour force participation and population growth are expected to be flat or declining in the foreseeable future which implies any improvement in Australia’s living standards must be driven by a higher level of labour productivity. This paper shows that a company income tax cut can do that, even after allowing for increases in other taxes or cutting government spending to recover lost revenue, by lowering the before tax cost of capital. This encourages investment, which in turn increases the capital stock and labour productivity. This is spot on. A punitive corporate income tax is a very destructive way of generating revenue for government. Which is why I hope American policy makers pay attention to this research. We already have the highest corporate tax rate in the developed world (arguably the entire world depending on how some severance taxes in poor nations are counted), and we magnify the damage with onerous rules that further undermine competitiveness. P.S. By world standards, Australia has a lot of economic freedom. But that’s in part a sad indictment on the global paucity of market-oriented nations. There are some very good policies Down Under, but the fiscal burden of government is far too large. The current government is taking some small steps in the right direction (lower corporate rate, decentralization), but much more is needed. P.P.S. In the interest of being a good neighbor, the Australian government should immediately put an end to its crazy effort to force Vanuatu to adopt an income tax. Decision Time in the South Pacific: Income Tax or Mitchell’s Golden Rule? Can you identify the nation with the world’s 7th-friendliest tax system according to the Index of Economic Freedom? Don’t know the answer? Well, here’s a hint. If you don’t count Middle Eastern nations that finance their governments with oil money, this is the nation that is in second place, behind only the Bahamas. Well, don’t be embarrassed because most people have never heard of the place. This tax paradise is an obscure nation in the South Pacific called Vanuatu. Comprised of dozens of islands, Vanuatu is one of the few places in the world that doesn’t have an income tax. No personal income tax (I’m jealous). No corporate income tax (I’m jealous). No capital gains tax (I’m jealous). No death tax (I’m jealous). 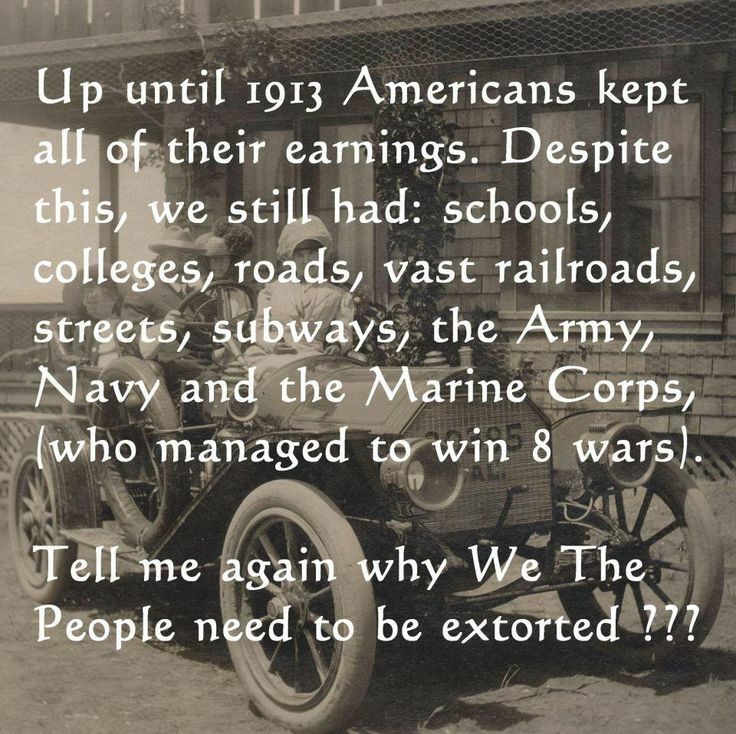 But the absence of an income tax bothers some outsiders. Nations such as Australia and international bureaucracies such as the World Bank are pressuring politicians in Vanuatu to adopt an income tax. And they’re playing dirty, trying to bribe and extort lawmakers with promises to provide more aid or threats to withdraw existing aid. 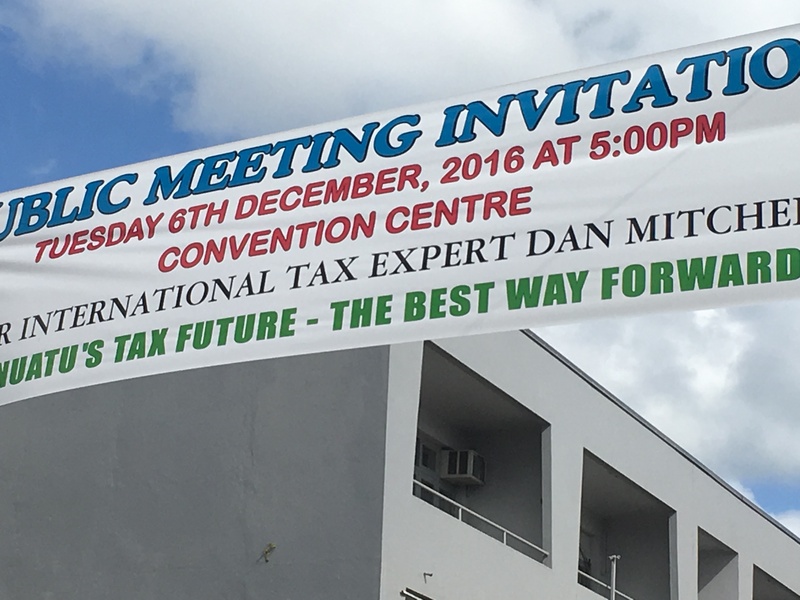 Faced with this threat, members of the Vanuatu business community asked me if I would make a big sacrifice and come to their nation so I could explain to politicians and the public why an income tax would be a terrible mistake. Being a noble person and nice guy, I said yes, even though it means I’m having to miss some of the wonderful December weather in Washington, DC. This is only my second day in Vanuatu, but I’ve already given one speech, done some local media, and met with a bunch of people. Combined with the research I did before arriving, there are two lessons that we can learn from what’s happening. First, the absence of an income tax does not necessarily mean a country a role model for free markets. If you look at the latest edition of the Index of Economic Freedom, Vanuatu is ranked #89 out of 178 nations, barely qualifying for the “Moderately Free” club of countries. To give you an idea what this means, Vanuatu ranks below Italy and France. The moral of the story is that it’s good to have a low tax burden and no income tax, but that’s just one piece of the puzzle. Vanuatu gets very low scores in other areas, particularly regulatory efficiency and rule of law. This is one of the reasons why Vanuatu is still a poor country. The Bahamas has no income tax, but it also gets decent scores in other areas, so it ranks #31 out of 178 nations. Unsurprisingly, the people of the Bahamas are much more prosperous than their counterparts in Vanuatu. And if you look at jurisdictions such as Bermuda, Monaco, and the Cayman Islands, they don’t get ranked by the Index of Economic Freedom, but they presumably would be in the top 10 because of their systemic commitment to free markets. And all of those jurisdictions are among the wealthiest places on the planet. So the bottom line is that Vanuatu has only one good policy, and that’s the absence of an income tax. I’m telling them they need to engage in further economic liberalization. Other outside forces, however, are telling policy makers to get rid of their only attractive economic policy. Go figure. Second, the reason why the income tax is a threat is that Vanuatu politicians have increased the burden of government spending. There are several source of data, including the IMF’s massive database, and they all show that government spending since 2000 has grown by an average of about 6 percent annually. In other words, they’ve been violating my Golden Rule. And when that happens, it just a matter of time before there’s pressure for big tax increases. So in my big public speech last night, I obviously explained why an income tax would be a horrid mistake for Vanuatu, but I also explained that bad tax policy will be inevitable unless there is an effective policy to control the growth of government. And that’s why the last half of my speech was about the merits of a spending cap. I cited the positive results in nations that have enjoyed multi-year periods of spending restraint, and I specifically highlighted the very effective spending caps in Hong Kong and Switzerland. I even pointed out that international bureaucracies such as the OECD and IMF have admitted that spending caps are the only effective fiscal rule. The challenge, of course, is that politicians very rarely are willing to tie their own hands. From their perspective, a spending cap is a threat to their ability to play Santa Claus. They’d much prefer, based on “public choice” incentives, to impose a new form of taxation. But this doesn’t mean the fight against the income tax is hopeless. As I’ve explained when writing about American politicians, lawmakers are often tempted to do the wrong thing. They may frequently surrender to temptation and choose to do the wrong thing. But they’re also capable of doing the right thing. My job is to be the angel on one shoulder, offering good advice to counter the malignant pressure being imposed by the devil (especially the Australian Tax Office) on the other shoulder. The United States made a very big mistake back in 1913. Vanuatu should learn from our error. P.S. This isn’t the first time I’ve waded into a battle over whether a zero-income-tax jurisdiction should impose an income tax. A few years ago, I helped thwart a scheme to impose an income tax in the Cayman Islands. I hope to be similarly successful in helping the people of Vanuatu. I’m generally a fan of Australia. I wrote my dissertation on the country’s private Social Security system, and I’m always telling policy makers we should copy their approach. The Aussies also abolished death taxes, which was a very admirable choice. I even wrote that Australia is the place to go if politicians wreck the American dream and turn us into a New World version of Greece. But that doesn’t mean there isn’t plenty of foolish policy Down Under. 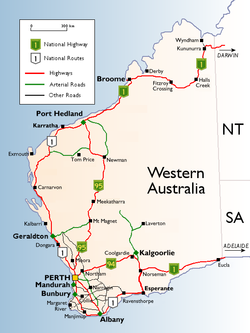 A column in the Sydney Morning Herald notes that the mining-heavy state of Western Australia faces a fiscal crisis even though it enjoyed a lengthy economic boom when there was a lot of demand for natural resources. …the state has recently attracted much attention – and derision – for the way its policy making elite squandered the wealth generated by the resources boom. 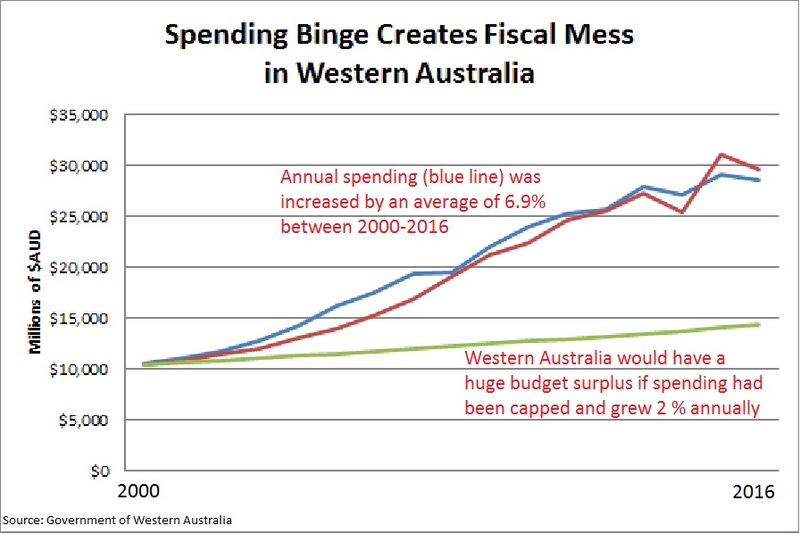 …how WA managed to emerge from the once in a lifetime mining boom with an estimated debt burden of $40 billion by 2020 and a projected budget deficit of $4 billion is one of the West’s great mysteries. Or not, if you bother to look at what happened. Ironically, the author of the column didn’t bother to look at what happened. He wasted a lot of ink extolling the supposed virtues of Norway’s oil-financed sovereign wealth fund, but he never shared any fiscal data. Why he omitted this very relevant information is a bit of a mystery. It’s certainly not because it’s hidden. I’m on the other side of the world, but my intern managed to get spending and revenue data for Western Australia without any heavy lifting. And what do we see? Can we learn why the Aussie state is in a fiscal mess? The answer, unsurprisingly, is that politicians in Western Australia spent too much money. Annual outlays grew by an average of nearly seven percent each year. 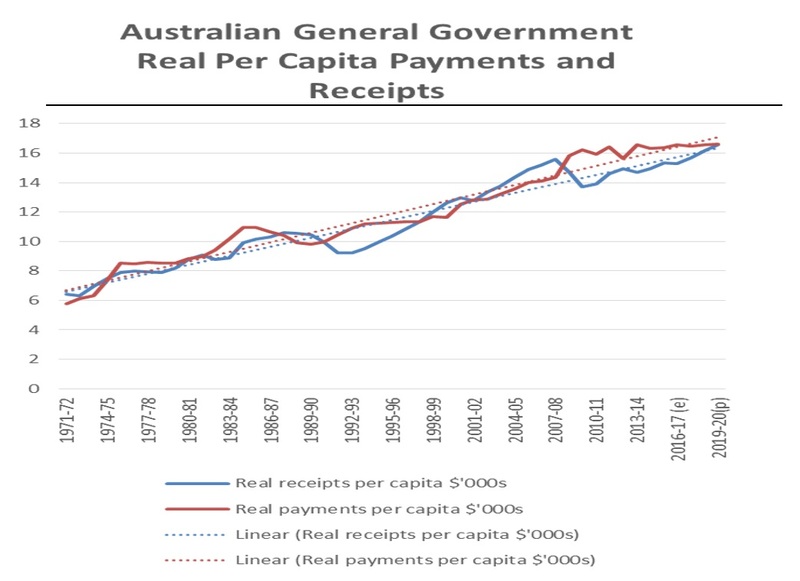 That spending spree may not have seemed reckless when the resources boom was generating big increases in government receipts. But as happened in both Alberta and Alaska, the chickens of fiscal profligacy eventually come home to roost when there are resources-fueled spending binges. Not that all politicians in Western Australia have learned from their mistakes. WA Nationals leader Brendon Grylls certainly has…launched a rather lonely campaign to make the miners pay more tax. By the way, the National Party is supposed to be on the right side of the political spectrum, yet this politician wants to blame mining companies even though it was the government that squandered so much money. Makes me wonder if his middle initial is “W“? Anyhow, there is a larger lesson for the rest of us – assuming, of course, that we want sensible fiscal policy. The main conclusion we should draw is that it is vitally important to control spending in boom years. That’s when lots of revenue is flowing to the government and it’s very difficult for politicians to resist the temptation to spend that windfall revenue. A spending cap, though, solves this problem. And research from the International Monetary Fund echoes this argument. One of the desirable features of expenditure rules compared to other rules is that they are not only binding in bad but also in good economic times. The European Central Bank reached the same conclusion. …if governments have fiscal rules in place, the results suggest that governments can no longer fully use their fiscal space and (on average) are even forced to reduce their current expenditures. Even the Organization for Economic Cooperation and Development agrees. …spending rules can can limit pro-cyclical spending in the presence of revenue windfalls in good times. So we know the right solution. Now the challenge is convincing politicians (who are often governed by bad incentives) to tie their own hands. P.S. Now I understand why Crocodile Dundee didn’t like giving Australian politicians any more money than absolutely necessary.